How to display countdown timer on widget? The function at the moment is empty. I want the timer to start at five minutes and countdown until zero. 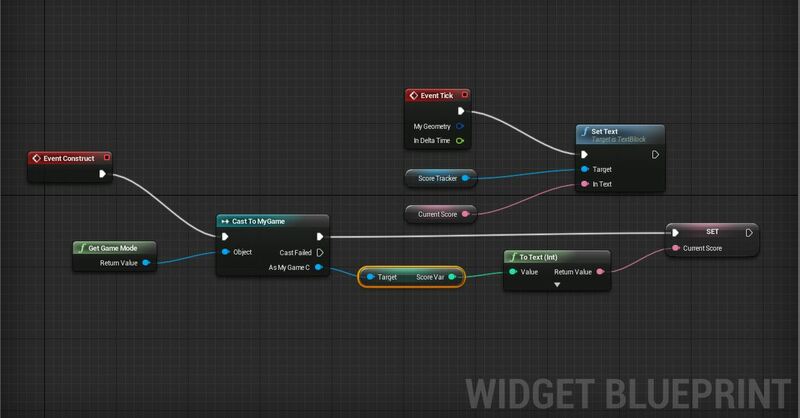 I've been able to make a timer in the first person HUD blueprint, but have not had success casting it in the widget below. Is there an easier way? You want to create a float variable that you can later convert to an integer and name it Time Subtract the default value of that you set from the ticks delta seconds and set the new time to equal that. Then in your widget use a set text node and convert that into text. So instead of making it in the first person HUD blueprint, I should make it in the widget itself? To the right of where you could manually write your text in the textwidget you have bindings. Create a new one and return the remaining time float as a string.